Mike received the rare and hard-earned distinction of Sifu in March, 2017. Sifu Mike has studied under Sifu Bateman for years, and has been living the Kung Fu lifestyle for over 20 years, studying 7 Star Praying Mantis Kung Fu as well as Tai Chi and other forms of fighting. 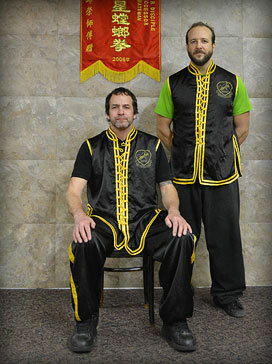 Mike currently teaches adult Kung Fu, Kickboxing, and Tai Chi.